Things are freezing here in PDX–that makes running harder to do with all the ice around. Maybe I’ll use my mom’s ice cutters afterall (clip on over your shoes to run on the ice)…am I that desperate? Today I want to share our favorite pasta dish. Lasagna allllways makes me think of Garfield. We’ve been making this dish for family gatherings for a couple of years now and have prepared it with wheat and gluten free noodles. It has come out marvelously each time. Every now and then I take on the task of making it just for Ktams and me and freeze a couple servings for later. First, cook up your meats, onions, and garlic—I like to do this in our French oven—you will need a pan large enough to add all the tomato products as as well (40oz.+). 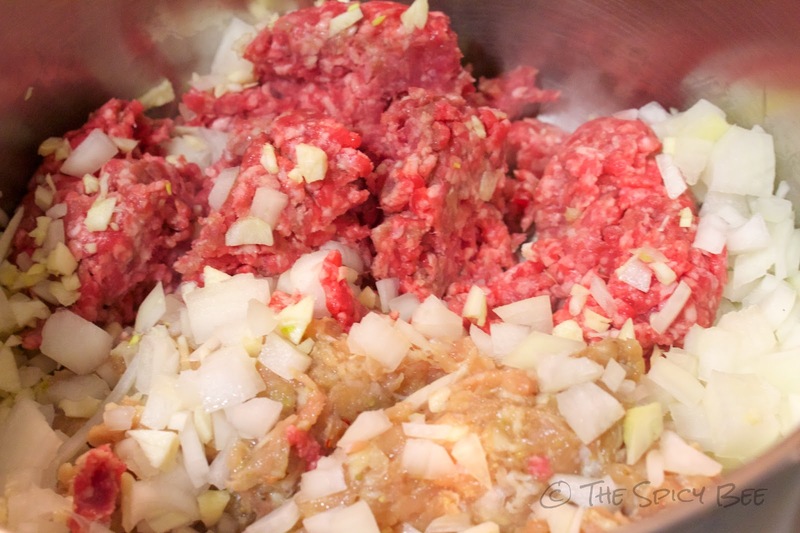 Once the meat mixture is browned, add in your tomatoes (paste, sauce, crushed, etc.) along with the water. Now it’s time for your sugars and spices (and everything nices :P) so add in your sugar and all the herbs and spices, fresh and dried alike. This is where it will start to smell delicious. Heat for about 90 minutes covered, and be sure stir every 15 minutes or so. Towards the end of your saucy cooking, prepare your noodles, being sure to follow the instructions on the box, though remove the noodles from the water when they are in an ALDENTE stage to ensure they aren’t over cooked. 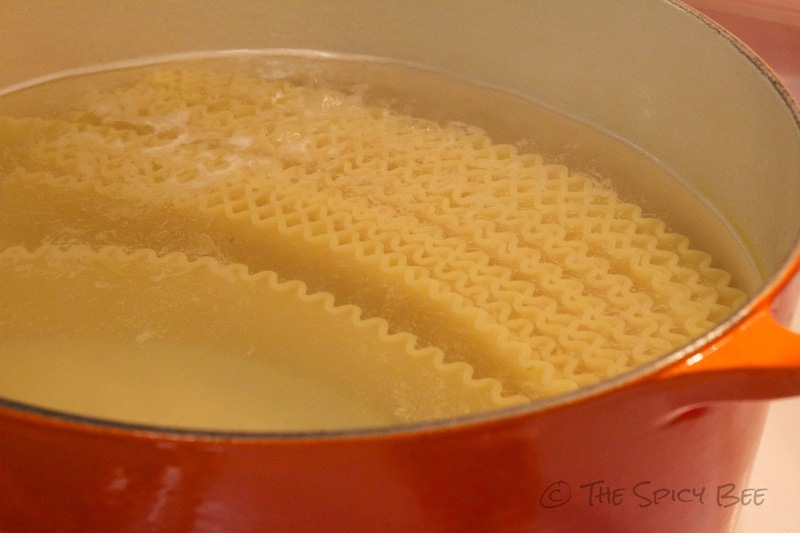 The trickiest part of this recipe is here—to ensure the noodles do not stick together, keep them completely submerged in cool water, moving them around frequently to ensure they do not stick to one another. Meanwhile, with your second set of hands (ha!) 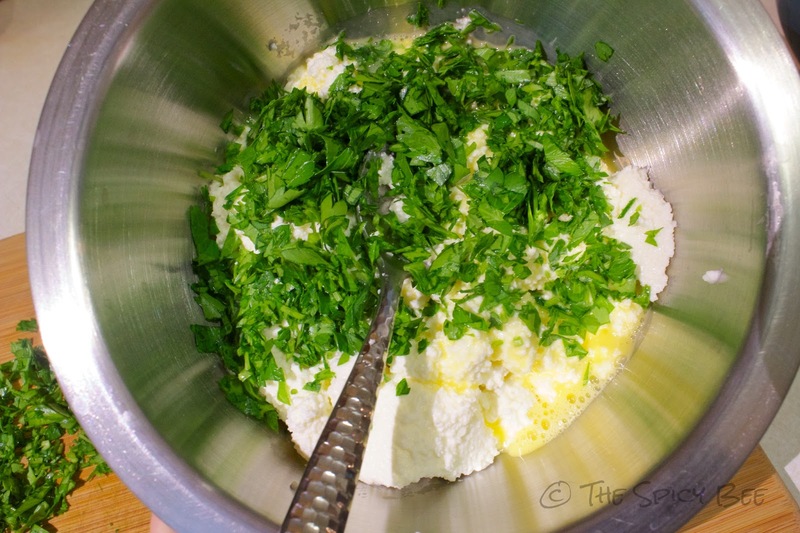 combine your egg, ricotta, parsley, and salt in a mixing bowl (this can be done earlier as well and kept in the fridge until you need it). Now it’s time to get that oven preheated to 375 degrees F.
Bake for 25-30 minutes, remove your foil (BE CAREFUL OF LASAGNA STICKING TO FOIL) and then bake for another 25-30 minutes until golden brown and delicious. Be sure to cool before serving. 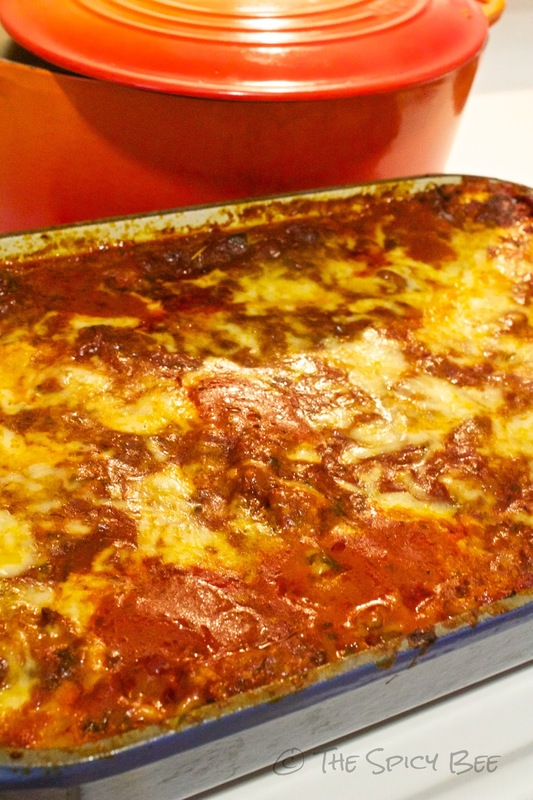 Do not fret if your lasagna comes out watery! Mine does sometimes! It will solidify as you have it out (and reheat it). I promise it will still taste amazing, and if it bothers you that much, omit the water completely (I have already halved what’s normally called for in the recipe). 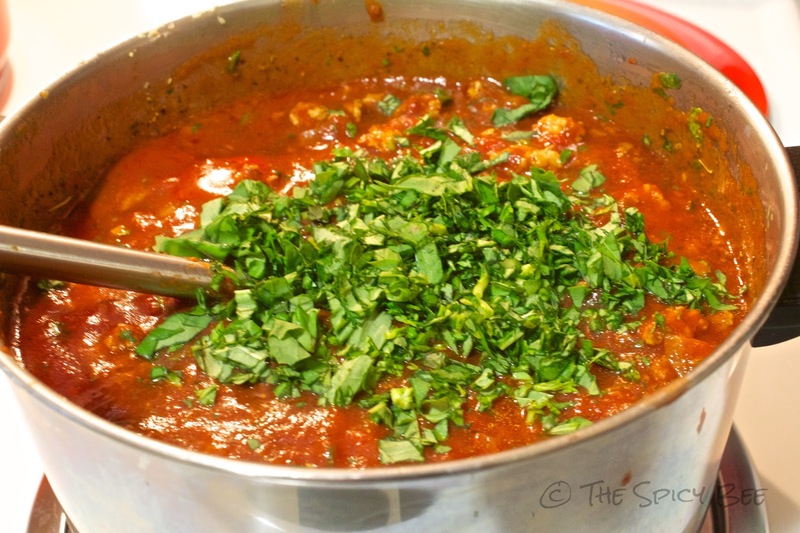 What recipe do you like to make for family gatherings or other large events? yum it looks SO good!! 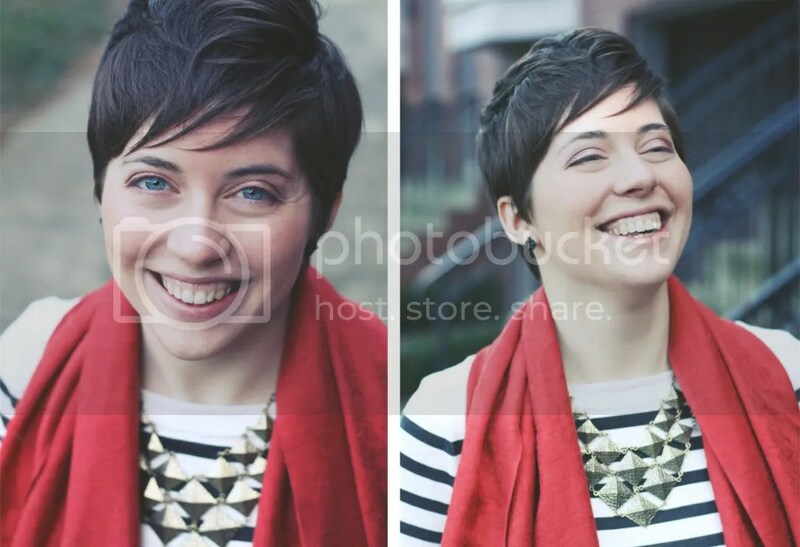 And such beautiful headshots, Macey is talented and you are beautiful! love your outfit too! This looks amazing! 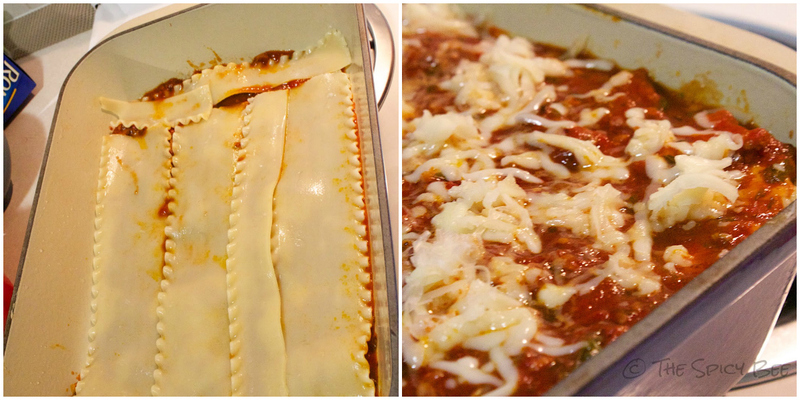 Have you had any luck with the no-cook lasagna noodles? Although, they may not come in GF. I usually end up deciding against making lasagna because of the extra steps… Lazy much!? Beautiful pictures btw!! 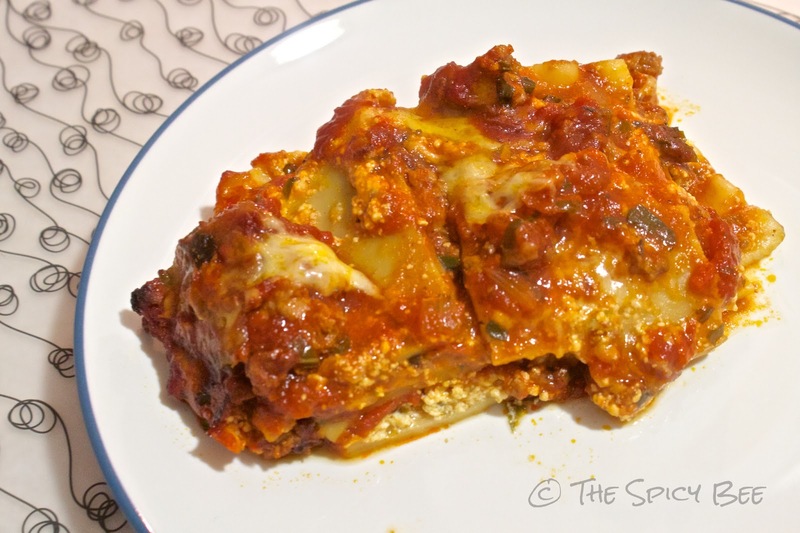 I love to make veggie lasagna with zucchini and lots of tomatoes! I would totally try this recipe with turkey meat – but I’m sure that it would just not be the same! The DeBoles Rice Lasagne noodles don’t need to be pre cooked, just use them dry.